Starting April 13 and available nightly, kids, ages 4-12, will be transported to a world full of excitement and adventure with their favorite characters from Disney•Pixar’s “Toy Story” and “The Incredibles!” While the kids play, parents will be able to enjoy their own getaway throughout Walt Disney World Resort. In Bonnie’s Play Room, children will find a variety of toys. Around the corner, the Living Room will be the center for most of the action, starting with Space Ranger Training where a Space Ranger will teach kids what it takes to become a Jr. Space Ranger of Star Command, including how to identify enemies, like Zurg, and finally, the call of the Space Ranger, “To infinity and beyond!” Then, Woody and Jessie will show them the ropes of the Wild West during Woody’s Roundup – complete with a sing along for a rootin’ tootin’ good time! Finally, they will learn some sweet dance moves during the Incredible Dance Party with Mr. Incredible and Mrs. Incredible – complete with a party host. The evening will also include arcade games, dinner and dessert! The nightly getaway for kids, ages 4-12, will open doors for check-in at 5 p.m. The experience will begin at the welcome desk, a stop at the “Monsters, Inc.” handwashing station, then Boo’s Closet Door, where youngsters will be able to store any belongings before taking a couple of steps into an action-packed evening of Pixar fun. Programming will run from 6-10:30 p.m. for a fee of $65 per child (plus tax). Children must be fully toilet-trained. Parents will be required to be physically present to check children in and out of the experience. In summer 2019, Disney Cruise Line will sail on new itineraries to seven new ports in Europe, including a first-ever round-trip cruise from Rome and first-time visits to destinations in Sweden, France, Spain, Denmark and Northern Ireland. Disney Cruise Line will take Guests on a grand tour of Europe with visits to the Mediterranean in early summer and northern Europe in late summer. Plus, adventures continue with sailings to Alaska, the Caribbean and the Bahamas, including new cruise lengths aboard the Disney Fantasy. Also in the summer of 2019, Disney Cruise Line Guests can enrich their experience by combining a cruise with a package from Adventures by Disney®. New in 2019, Adventures by Disney will offer a pre-cruise guided experience in Rome. These 3-night Short Escapes, also offered in Copenhagen, Denmark, and Barcelona, allow families to experience memorable icons in ways that few can, such as a private, after-hours visit to the Vatican Museums and Sistine Chapel in Rome. Plus, activities like ziplining, flamenco dancing and preparing local cuisine immerse families in the culture of the region. And, you can also enhance select European sailings with an Adventures by Disney package during the cruise. Adventure Guides lead travelers to experience the best of each port, helping them unlock the wonders of the destination through immersive excursions and off-the-beaten-path adventures. In addition, you will enjoy exclusive receptions onboard and have access to concierge service from these dedicated guides throughout the voyage. 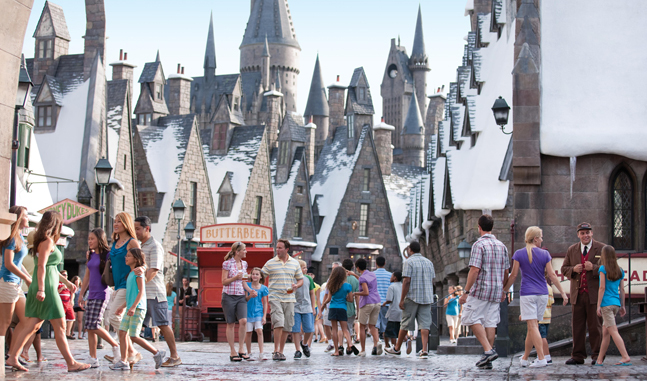 These Adventures by Disney offerings are open for booking. A Vancouver Short Escape will open for booking later this year. Save up to 25% on rooms at select Disney Resort hotels for stays most nights June 11-Aug. 1, 2018 when they book by May 22, 2018. Plus, discover other savings for stays most nights May 28-Jun. 10, 2018 and Aug. 2-30, 2018. Staying in the middle of the magic will help make a Walt Disney World Resort vacation even more super—especially when there are new and exciting experiences debuting at all 4 parks. • Save up to 25% on rooms, when you book by May 22, 2018. • Save up to 20% on rooms, when you book by August 1, 2018. Ask about great rates for stays most nights May 28 through June 10 and August 2 through August 30, 2018. 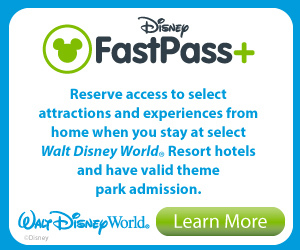 This special offer is valid for the Disney Resort hotels listed below. View the chart to explore savings within each Resort Category. The number of rooms allocated for this offer is limited. Savings based on the non-discounted price for the same room. Length of stay requirements may apply. Note: Moderate and Deluxe suites may be available at a lesser discount. • The number of rooms allocated for this offer is limited. • Savings based on the non-discounted price for the same room. 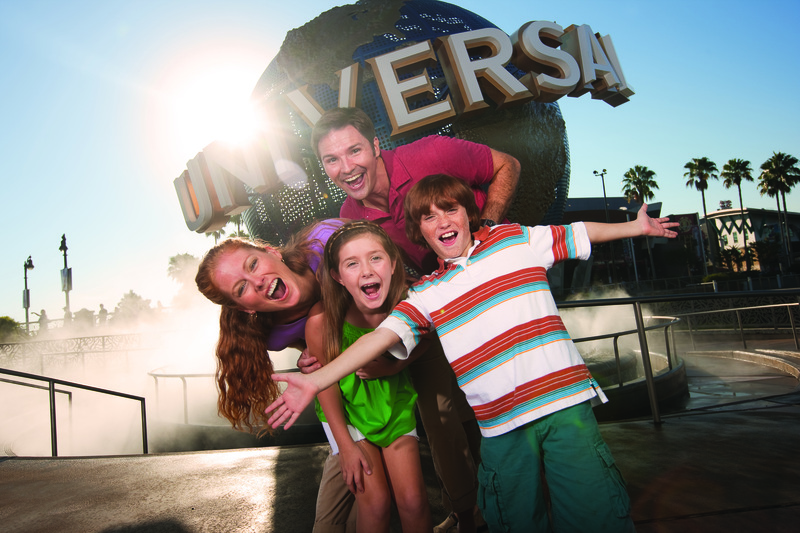 • Additional per adult charges may apply if more than 2 adults per room at Disney Value, Moderate and Deluxe Resorts. • Cannot be combined with any other discount or promotion. The number of rooms allocated for the offer is limited. Length-of-stay requirements may apply. Additional per-adult charges may apply if more than two adults per room at Disney Value, Moderate and Deluxe Resorts. Cannot be combined with any other discounts or promotions. Advance reservations required. Offer excludes 3-bedroom villas, campsites, Cabins at Disney’s Copper Creek Villas & Cabins at Disney’s Wilderness Lodge, Bungalows at Disney’s Polynesian Villas & Bungalows and Disney’s Art of Animation Resort—The Little Mermaid standard rooms. 25% savings based on the non-discounted price of the same room for select Disney Deluxe and Deluxe Villa Resorts. Lower savings may be available at other select Disney Resort hotels. Meet some of your favorite characters from the Disney•Pixar “Toy Story” films, including Sheriff Woody, Buzz Lightyear, and Jessie the Yodeling Cowgirl, at Toy Story Land – opening June 30 at Disney’s Hollywood Studios®. Woody, Buzz and Jessie will be greeting guests throughout Toy Story Land on a daily basis. And each character (along with the rest of the gang) will be joining in on the fun in a land where you “shrink” to the size of a toy. Take a ride on Slinky Dog Dash, a roller coaster Andy has assembled from his Mega Coaster Play Kit, or take a spin on Alien Swirling Saucers, a galactic play set that Andy won at Pizza Planet. In Toy Story Land you also walk through a new carnival game box to experience Toy Story Mania!, which has been a favorite attraction at the park since it opened in 2008. Take aim at 3D objects – using everything from baseballs to cream pies – in a variety of whimsical, fast-paced games. Subject to availability, room type, hotel, and travel dates selected. Rate valid for bookings 3/31/16 – 4/4/16 and valid for travel; 4/3/16 – 6/10/16. 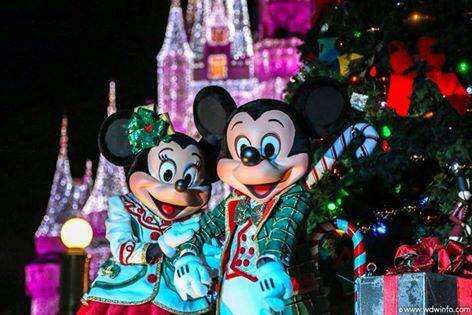 Join Mickey at this festive winter celebration for live entertainment, spectacular fireworks and an oh-so-jolly holiday parade. Start planning for a marvelous gathering with family, friends and some familiar Disney faces! Save up to 30%* on rooms at select Walt Disney World® Resort hotels for stays most nights June 12-Aug. 25, 2016 when you book by June 10, 2016. Rooms are limited, contact me soon to book your package for best availability. Disney World is constantly making improvements to its parks and resorts, it’s a never-ending process. Here is what is happening in the coming year. Welcome to Disney Springs™, an immersive waterfront destination overflowing with sights, sounds and flavors inspired by Florida’s natural charm, all in a beautiful outdoor environment! 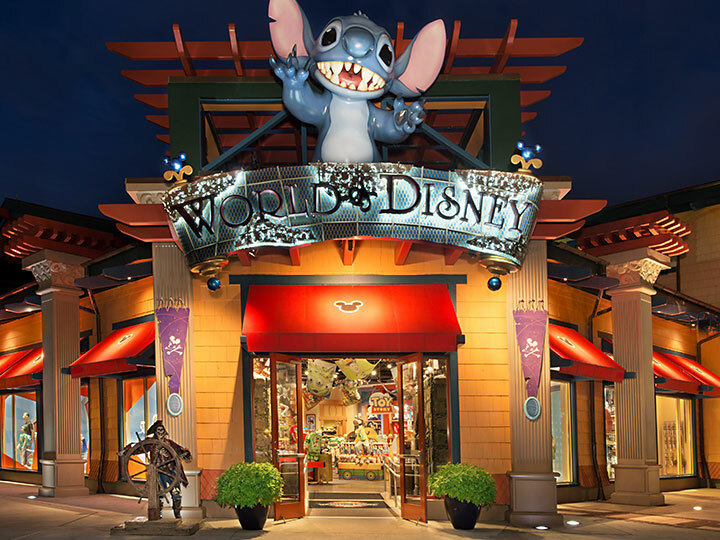 Showcasing a one-of-a-kind mix of brand retail and distinct Disney shopping, along with a stunning assortment of incomparable dining offerings, it’s an unforgettable pla ce the entire family will enjoy—only made possible by the imagination of Disney. So get ready for the largest expansion in Downtown Disney history as Disney Springs transforms the area and doubles its shopping, dining and entertainment options. The Art of Shaving offers premium grooming essentials for the modern man. The location also has a team of shaving specialists who offer advice to Guests on proper grooming techniques. Appointments for a haircut or shave are suggested. Apex by Sunglass Hut is designed with the athlete, sports and outdoor enthusiast in mind. This shop utilizes innovative technology, such as the Apex Smart Mirror, to help guests find the best choice in sport sunglasses. Chapel Hats specializes in fashionable hats and headwear for Guests of all ages. The location carries just about any style of hat including fedoras, sun hats, floppy hats, outdoors hats, kid’s hats and more. Sanuk offers creatively inspired footwear designed with non-traditional materials like yoga-mats. Havaianas provides the options to “Make Your Own Havaianas” and “Embellish Your Own Havaianas.” This store features a large assortment of Havaianas sandals for women, men and children, plus kids’ rain boots. Sound Lion has the latest technology in headphones, earbuds, speakers, and other digital sound and music products can be found in this shop. They also provide education in digital music applications that improve the listening lifestyle. Erin McKenna’s Bakery NYC will offer the same unsurpassed core vegan, gluten-free menu as its flagship bakery in New York City, and its sister bakery in Los Angeles. Look for a full selection of award-winning donuts, cupcakes, cookies, bagels (with vegan butter! ), and other savory items daily. 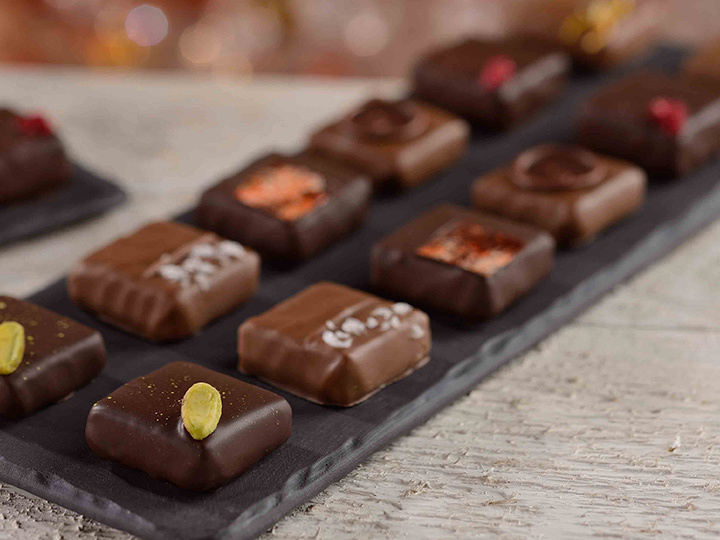 The Ganachery: Located in The Landing, The Ganachery specializes in custom-blended chocolates with the finest beans. Hand-crafted onstage by a chocolatier, the shop features fresh batches daily, including dark (65 percent custom blend), hazelnut, chipotle and a custom blend flavored with the world’s finest spices. Beautiful custom packaging makes elegant take-home gifts. 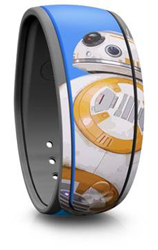 And there may even be some chocolate bars inspired by Disney characters! New Dining Experiences Now Open! The BOATHOUSE® – This upscale, waterfront dining experience will immerse Guests both on land and on water with live music, guided tours aboard the Captain’s piloted 40-foot Italian Water Taxi with champagne and chocolate-covered strawberries and guided Amphicar rides that launch from land, enter the water, and take guests on a 20-minute tour of the landmarks of Disney Springs. The BOATHOUSE will feature steaks, chops, seafood and a raw bar. 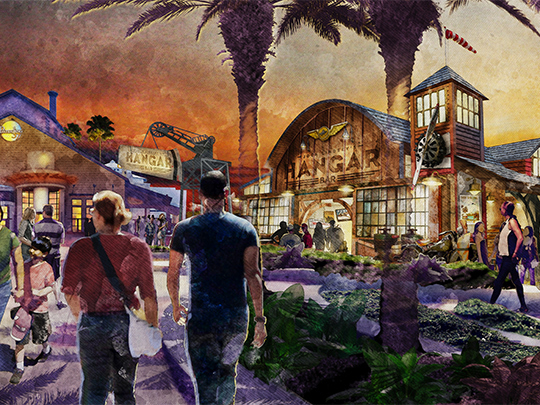 Jock Lindsey’s Hangar Bar – Tucked in between Paradiso 37 and The BOATHOUSE restaurant, a new Disney owned and operated Food & Beverage offering is now open — an aviation-themed lounge, Jock Lindsey’s Hangar Bar. With a prime location along Lake Buena Vista and seating for 150, the venue features unique cocktails — such as the “Hovito Mojito” with Barsol Quebranta Pisco, fresh lime juice and simple syrup — and small plates such as “Air Pirates Everything Pretzels” with house-made mustard and beer cheese fondue. Ardent fans of the “Indiana Jones” films may recognize Jock Lindsey as Indy’s frequent pilot. In the main room, Guests will discover an expansive bar, aviation decor filling the room, vintage travel posters covering the walls and correspondence between Jock, Indy and their fellow adventurers on display. Guests can eat, drink and be merry outside as well, in Jocks’ old steamboat, now in permanent dry dock and aptly named “Reggie;” and in nearby seating on the adjacent deck. Morimoto Asia – Chef Masaharu Morimoto, known from his appearances on Iron Chef America, has opened a one-of-a-kind dining experience in the heart of Disney Springs. Morimoto Asia is the Japanese master chef’s first-ever pan-Asian restaurant featuring flavors from across the continent. This Disney Springs dining destination includes unique exhibition kitchens showcasing traditions like Peking duck carving, and dim sum. STK Orlando – The ONE Group Hospitality, Inc. will open STK Orlando in The Landing area of Disney Springs in early 2016. STK Orlando will feature a unique ambience that blends the elements of a modern steakhouse with a sleek lounge. At 14,000 square feet, the Disney Springs location will be one of the largest STK locations in the world. Blaze Fast-Fire’d Pizza: Blaze Fast-Fire’d Pizza is a modern day “pizza joint” known for its custom-built artisanal pizzas, freshly made salads, blood orange lemonade and s’more pies. The fast-casual restaurant features an interactive assembly-line format that allows guests to customize their pizza, choosing from over 40 fresh, artisanal toppings — all for one price. The generously sized, 11-inch pizzas are “fast-fired” in a blazing hot open-flame oven and ready to enjoy in just 180 seconds. Homecoming: Florida Kitchen and Southern Shine – Celebrity Chef Art Smith is bringing a taste of real Florida to a new restaurant opening in summer 2016. Homecoming: Florida Kitchen and Southern Shine will showcase the cuisine of Chef Smith, who was born and reared in the town of Jasper, Fla., on the Florida-Georgia border. With farm-to-fork cuisine that showcases the bounty of Florida, and design inspired by turn-of-the century Florida architecture of the late 1800s, Homecoming will feature traditional Southern favorites with sophisticated, chef-inspired creations. Inside, the “rustic-chic” restaurant will feature a glass-walled show kitchen and the Southern Shinebar that celebrates an era where characters might have created some homegrown spirits on their homesteads just beyond the springs. Frontera Fresco: Chef Rick Bayless, a six-time James Beard Foundation winner, will open Frontera Fresco in summer 2016. Frontera Fresco will feature authentic Mexican specialties such as hand-crafted tortas, tacos, fresh-made guacamole and classic Mexican braised meat entrees, all prepared with natural, locally sourced ingredients. The table-service restaurant also will serve an extensive selection of margaritas, cocktails, craft beers and wine. 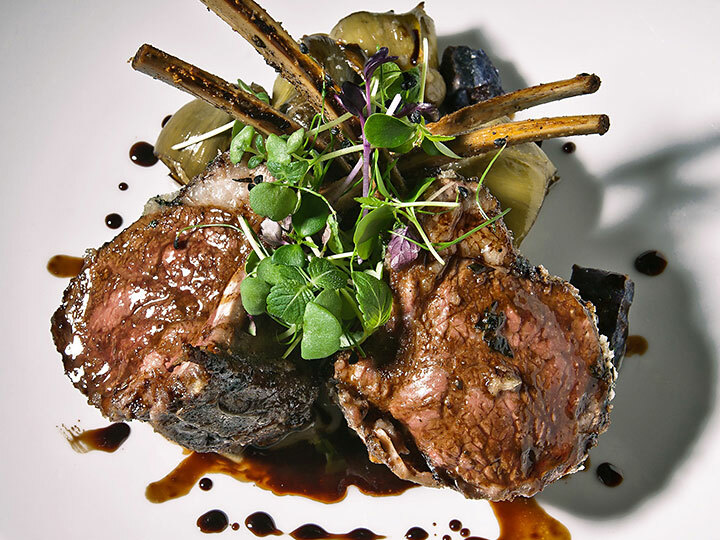 Located in Town Center, the nearly 6,000-square-foot venue will seat 200 Guests. Save Up to 25% on Rooms at Select Walt Disney World Resort Hotels This Spring! Save up to 25%* on rooms at select Walt Disney World® Resort hotels for stays most nights April 14-June 11, 2016 when you book by March 31, 2016. Other great rates for stays most nights Feb. 22-April 13, 2016. Plus, receive 1 more ticket day FREE when you upgrade to a room and ticket package with a minimum 4-day Magic Your Way® Ticket. Full list of offer exclusions : campsites, 3-bedroom villas, Disney’s Port Orleans Resort – French Quarter, Bay Lake Tower at Disney’s Contemporary Resort, The Villas at Disney’s Grand Floridian Resort & Spa, Bungalows at Disney’s Polynesian Villas & Bungalows and Disney’s Art of Animation Resort – The Little Mermaid Standard Rooms.